The Coca-Cola London Eye has quickly become one of the most popular attractions in the capital and is a great experience for anyone visiting London. The London Eye was first opened in 1999 as part of the country’s millennium celebrations. Back then it was the world’s tallest ferris wheel, standing at 135 metres (443 ft). However, in 2006, it was surpassed by the Star of Nanchang (520 ft), followed by the Singapore Flyer (541 ft) in 2008, and then a few years ago the 167.6-metre (550 ft) High Roller in Las Vegas. Yet, the London Eye is still the world’s tallest cantilevered observation wheel and offers some of the best views of the city. The giant wheel was designed by husband-and-wife architect team of Julia Barfield and David Marks. It consists of 32 individual cabins capable of completing a full rotation around the circumference of the wheel every half-an-hour. Each individual pod weighs around ten tonnes and is capable of accommodating up to 25 guests. Furthermore, the wheel rotates slowly enough to allow passengers to easily alight at ground level while it remains fully in motion at all times. Around 3.5 million visitors take a trip on the London Eye every year and it is advisable to book tickets in advance to avoid queues. As well as the wheel itself, visitors can also enjoy London Eye 4D Experience, which is free to enter for all those who purchase a ticket to ride the wheel. This amazing multi-sensory, special effects-packed experience enables visitors to see London come alive and is the perfect way to start or finish any trip to the Coca-Cola London Eye. Located at the Riverside Building on Westminster Bridge Road in the heart of the City of Westminster, the London Eye is in the best position to give visitors a fantastic view of some of the most historic and important landmarks across London. Anyone taking a trip on the London Eye will be rewarded with 360-degree views across the City of Westminster, the City of London, the Houses of Parliament and beyond. Visitors planning to head to the Coca-Cola London Eye have plenty of options open to them in terms of the best way to get there. If travelling from further afield, then the Coca-Cola London Eye is a short walk from London Waterloo station, where there are regular services to the rest of the UK. Visitors planning to use their own car should be aware there is significant volumes of traffic in the City of Westminster. However, there are a number of car park options in the area, including dedicated parking for the Coca-Cola London Eye and a number of other nearby cars including Leake Court Car Park, Hungerford Bridge Car Park and Cornwall Road Car Park. 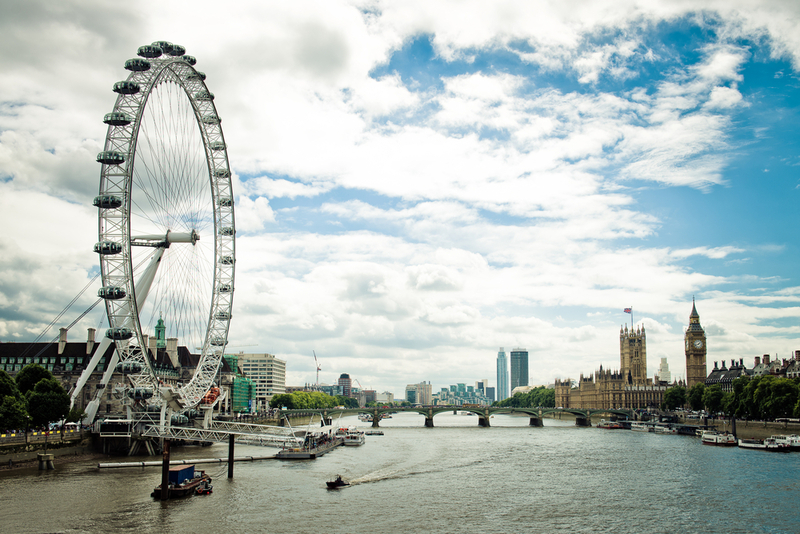 It is not just the London Eye that sees visitors heading towards the South Bank, as there are many more outstanding and popular attractions in the immediate area. Anyone planning a trip to the City of Westminster could decide to visit the Palace of Westminster (home to the Houses of Parliament and the seat of British democracy), or they might enjoy a trip to the iconic Elizabeth Tower and Big Ben. Other options that could appeal to families include the Sea Life London Aquarium, the Florence Nightingale Museum, Westminster Bridge, St James’s Park, the QEII Centre and the infamous London Dungeon. Share the post "Take a trip on the London Eye"
This entry was posted in London Attraction and tagged trip to London Eye. Bookmark the permalink.